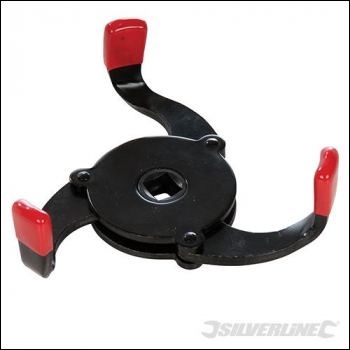 Tough, heat-treated carbon steel for high torque application. Rubber-coated feet for improved grip. Corrosion-resistant electro plating. Self-tightening mechanism grips filters from 60 - 110mm. For gripping filters with flat faces only. 3/8" square drive.